As concreting experts, we know what an incredible material concrete is. Can you believe that concrete has been around for thousands of years? In fact, concrete dates back to Ancient Egypt where there is evidence of a concrete-like material being used to bind the bricks of the pyramids. The Romans also used an early form of concrete (consisting of gravel and sand mixed with lime and water) to build the Colosseum and the Pantheon. Modern-day concrete is a different substance altogether. Keep reading to find out more about modern concrete and the answer to some other frequently asked questions about concrete. No! 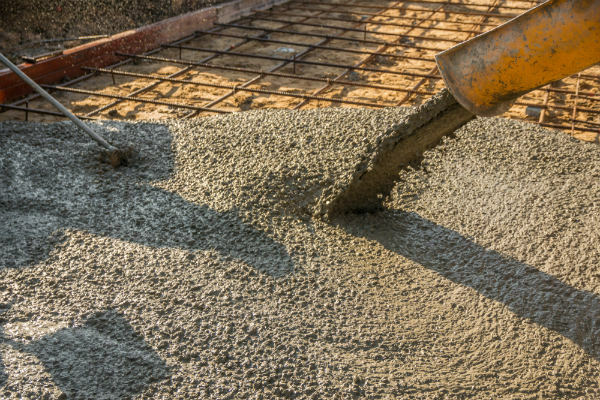 Although these terms are often used interchangeably, cement is actually one of the ingredients used to make concrete. Cement is made by burning clay and lime and is then mixed with gravel, stone, sand and water to make concrete. Concrete is used in almost every major construction project ( skyscrapers, highways, bridges, sidewalks and dams to name a few). Concrete is unique in that when newly mixed, it can be moulded into almost any shape, yet when it sets, it is hard and extremely durable. Yes! This is another great feature of concrete. The strength, durability and workability of concrete can all be adjusted to suit the specific needs of the construction project. However, mixing and laying concrete requires skill and experience in order to achieve a strong, durable finish. Choose a reputable commercial concreting company who comes highly recommended in order to avoid costly mistakes. It is possible for concrete to crack but it can be minimized. Generally speaking, concrete will only crack during extremes of temperature. In other words, if you live in a freeze/thaw climate you will need to speak to your local concreting contractor about preventative measures. These include placing control cuts or joints in the concrete and adding fibres to the mix. It is important to note that hairline cracks do not indicate a structural problem. These are just superficial cracks.